With six months in Prague we got a luxury in that we don’t need to stomp around town and cover all the attraction in a weekend or a week. So we’ve purposely just jumped on the trams and metros and gotten ourselves ‘lost’. The first day we ended up by – what we later learned was – the Strahov Stadium. It looked quite big but it wasn’t until I got home and looked at it on a satellite image that I understood the size of this place. 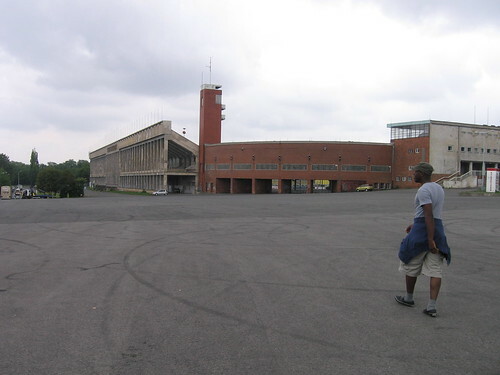 It was build to host parades and huge gymnastic shows and the stands would allegedly hold 250,000 people. 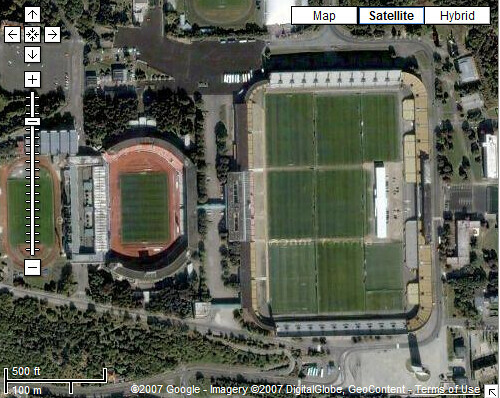 Here you see it to the right of Stadion Evzena Rosickeho which is a ‘regular’ stadium that holds nearly 20,000. Another day we ended up by a walled park. 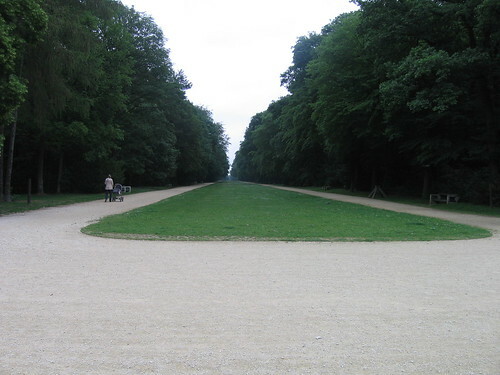 When we looked through the gate we saw this boulevard through the forest. It took forever to walk to the other end but when we finally got up there we were met by this star shaped building. It is The Star Royal Summer Palace but it is closed for another few weeks so I’ll have to come back another time. Once again there were a lot more background and history to be found online. 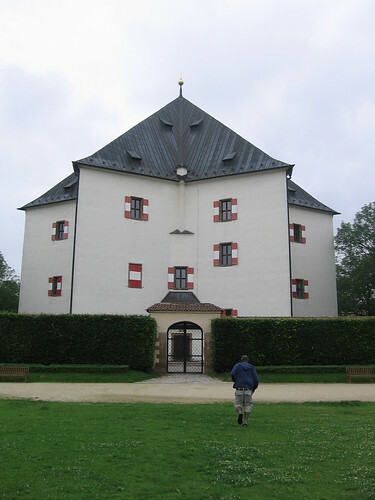 It is build with a great attention to symbolism and so it was build in 1555 as a hexagram. Pollas asked Danish bloggers to send in a video for a Vlog Christmas Calendar in the good spirit of Christmas. I sent in a video and it is hiding behind number 11th. Click here to see the Calendar. In the video Julia and my roommate Femi try some Danish Christmas food. The video was made when Julia came to visit last week. Her traineeship in Frankfurt was over and she was on a last stint through Europe before going back to US. 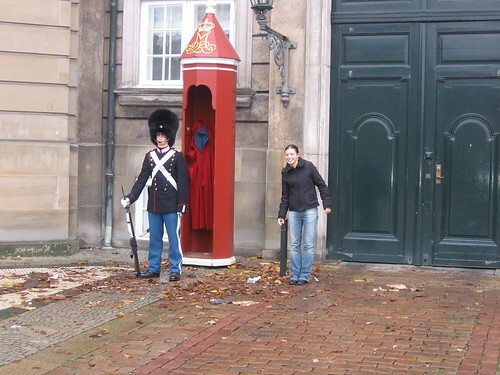 It is always great to have visitors and we covered a fair amount of the touristy Copenhagen with Julia. And finally there is the Christmas video I made in Danish from Ann Arbor last year. I will try and make something similar this year from Copenhagen.